Do you need swimming sports and workout software that's easy to understand and use? Confused by complex and expensive software? Looking for a product where you can easily switch languages from English to Spanish to Portuguese; need Dolphin Wireless support? WinSwim will fulfill all your team and meet needs in one package at one low price that any team can afford. Using WinSwim once will save you hundred of hours in creating and managing team records and meets. Full featured team and meet manager including all the features you need to manage your team and meets. Includes ability to manage multiple teams, event lists and meets. Can utilize the U.S. Swimming standard SDIF interchange files to interoperate meet entries and results between different swim teams and software packages. Integrated team and meet software in one package containing timer support, report designer and viewer. 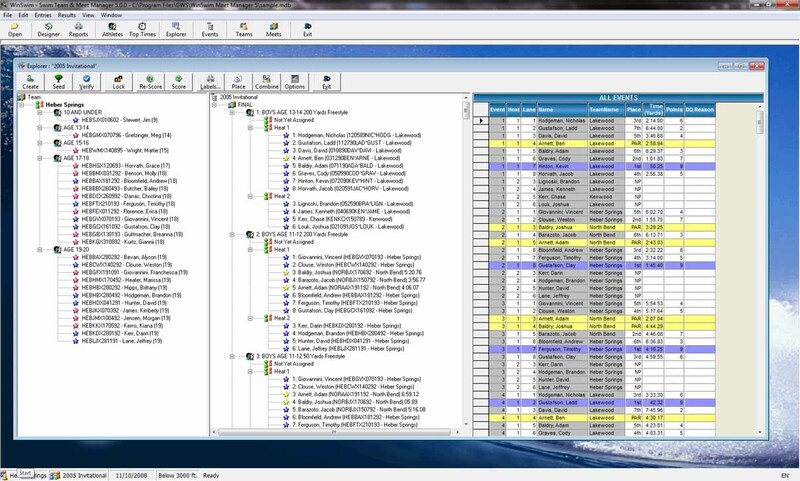 Import and export to .CSV format any of the tables within WinSwim. Also, members and meet entries can be easily exported directly to MS-Excel. 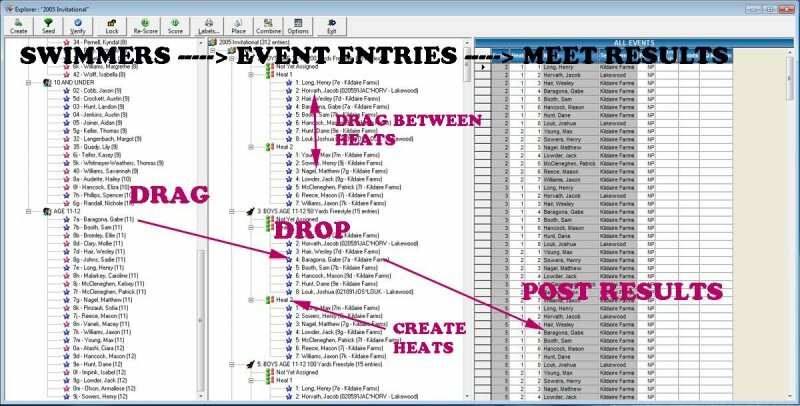 Drag and drop swimmers into events using the Explorer before or during the meet. You can easily triage the entire team and find the best combination of swimmers that make up the fastest medley relay team. 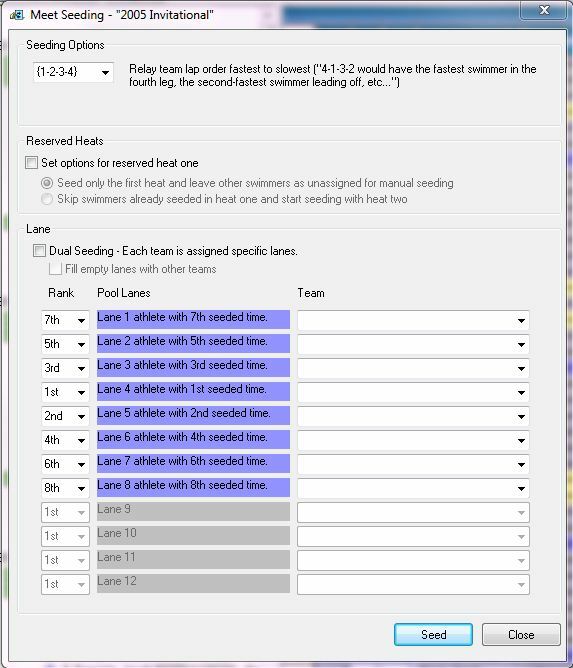 Seeding can be set to assign lanes by a number of different options.